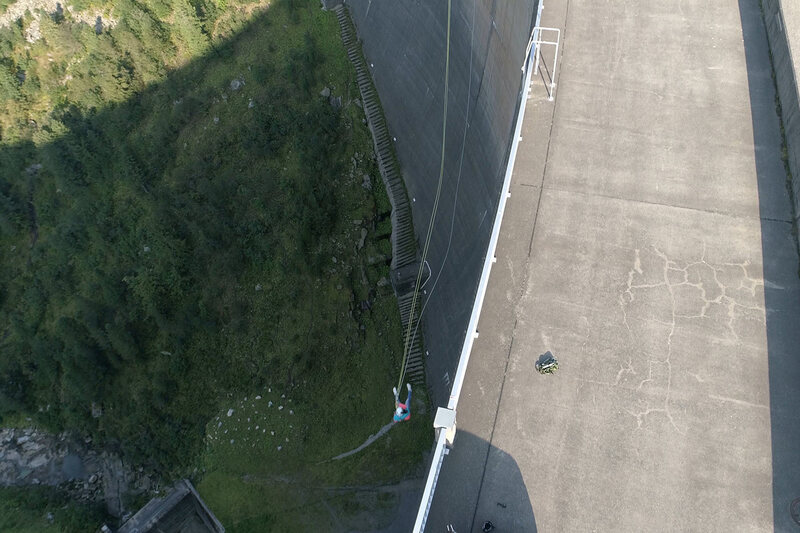 The Schlegeis131 Flying Fox is already a highlight for adventure freaks - BUT the NEW GIANT SWING 'Schlegeis131 is the absolute HIGHLIGHT for adrenaline junkies! 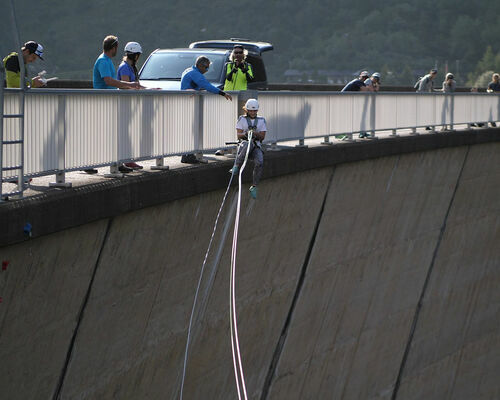 The 30-meter free fall and the subsequent swing makes the maximum pulse shoot up and the adrenaline rise to the tips of the hair. 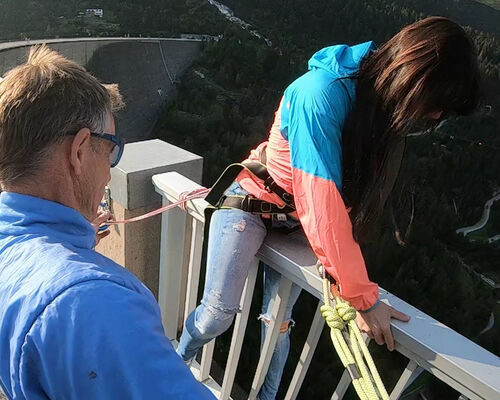 Just an attraction for stewed adrenaline fetishists! ! 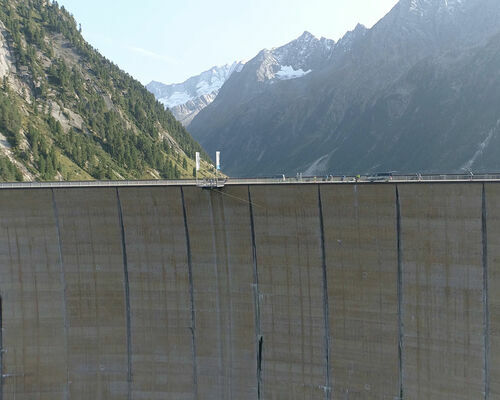 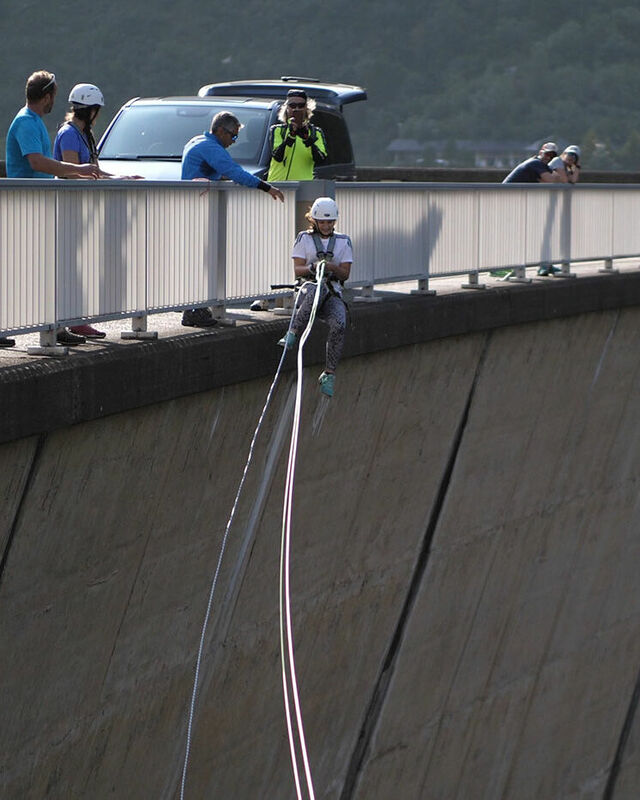 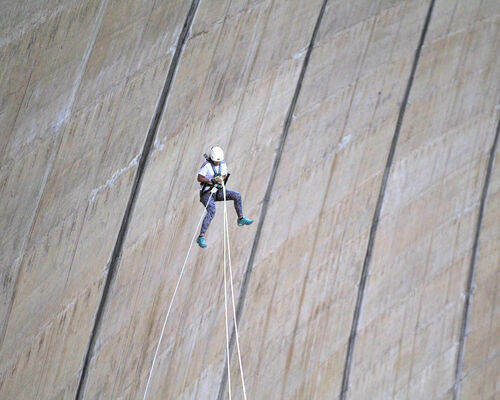 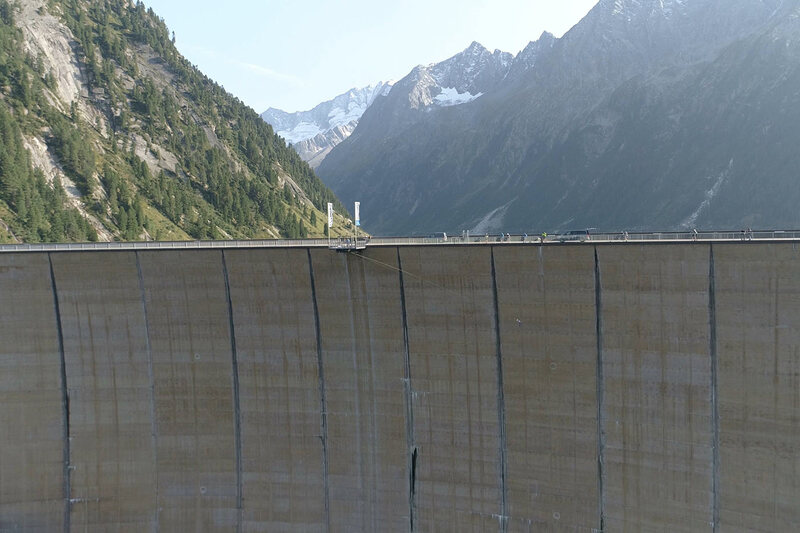 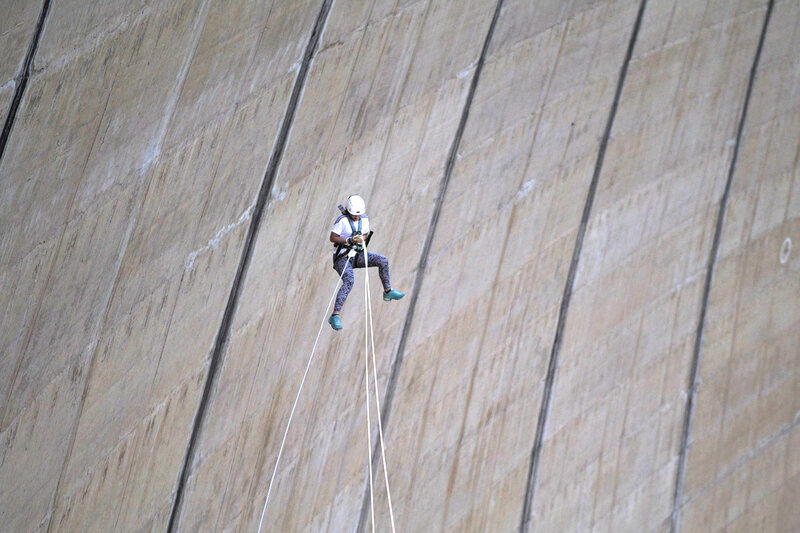 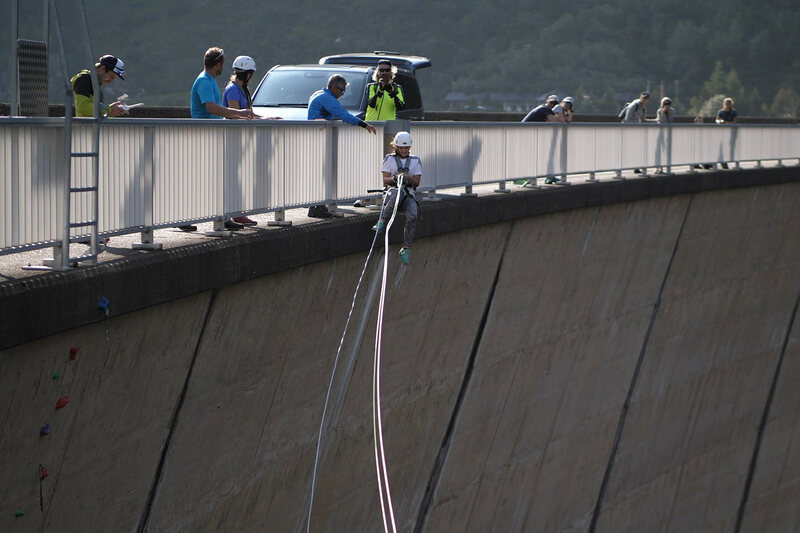 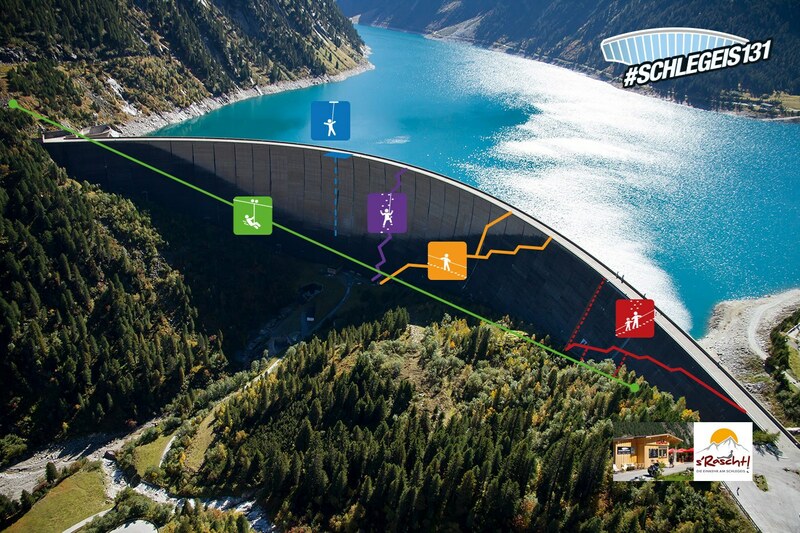 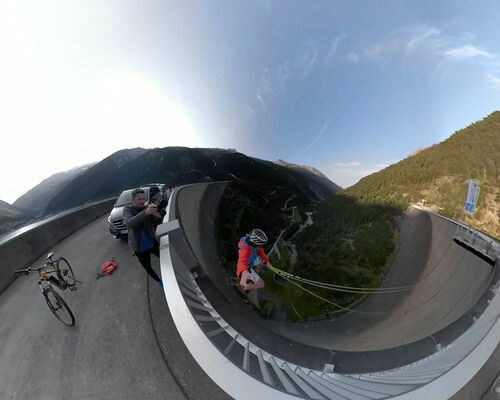 Secured 3-fold, you climb over the parapet of the 131 meter high dam of the Schlegeis reservoir. 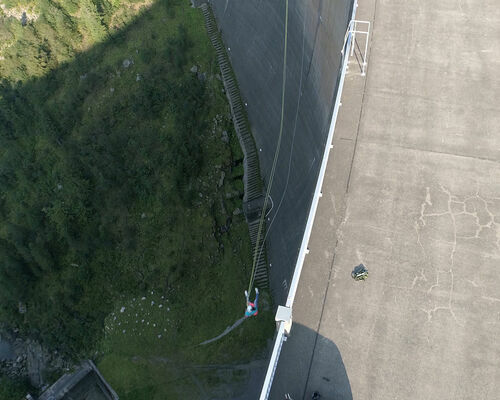 Now you are only one step away from the 30 meter free fall. 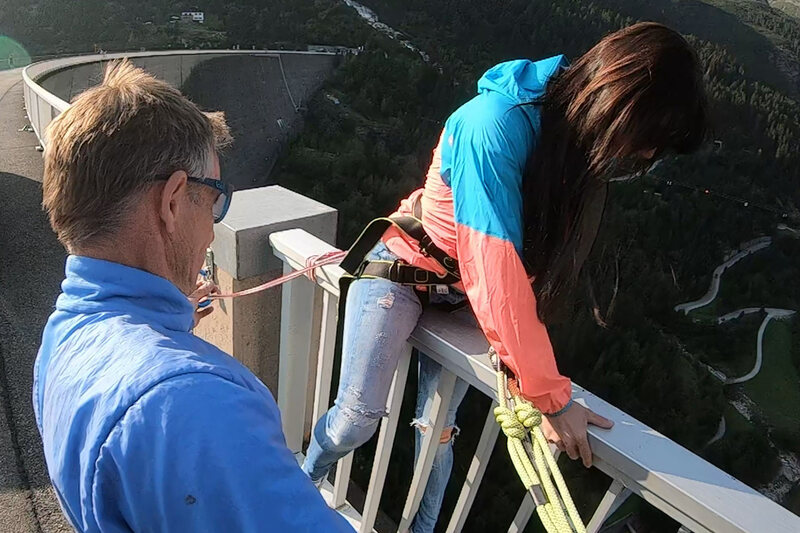 Their thoughts are only about the question "Should I or should I not" and shortly after the command comes 3-2-1, experience an adrenaline rush after the jump like never before before, gently into a pendulum motion passes. 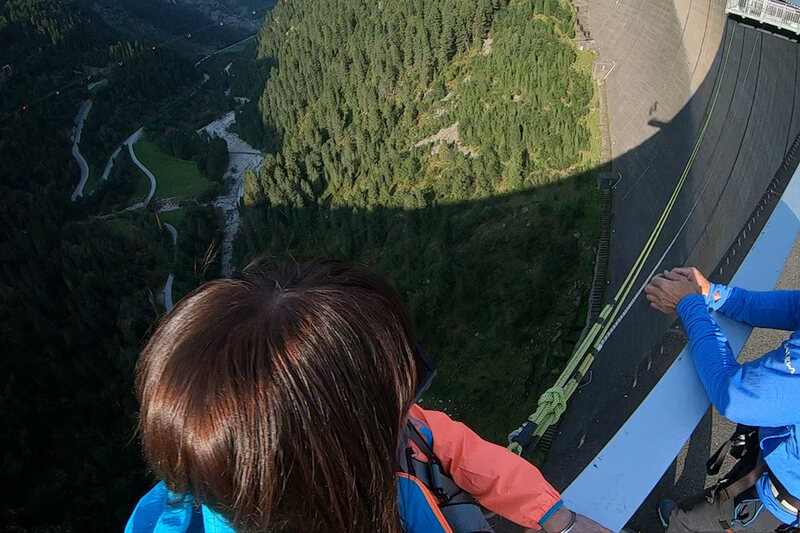 An experience you will never forget! 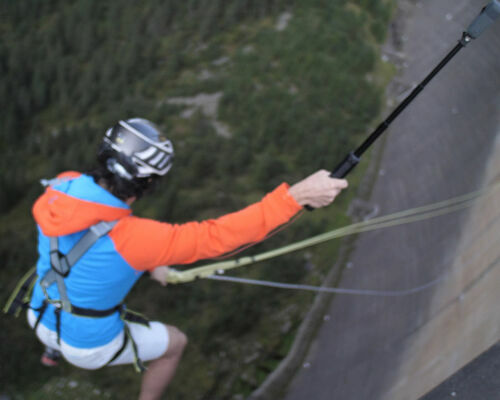 #Schlegeis 131 Giant Swing € 50,00 p.P. 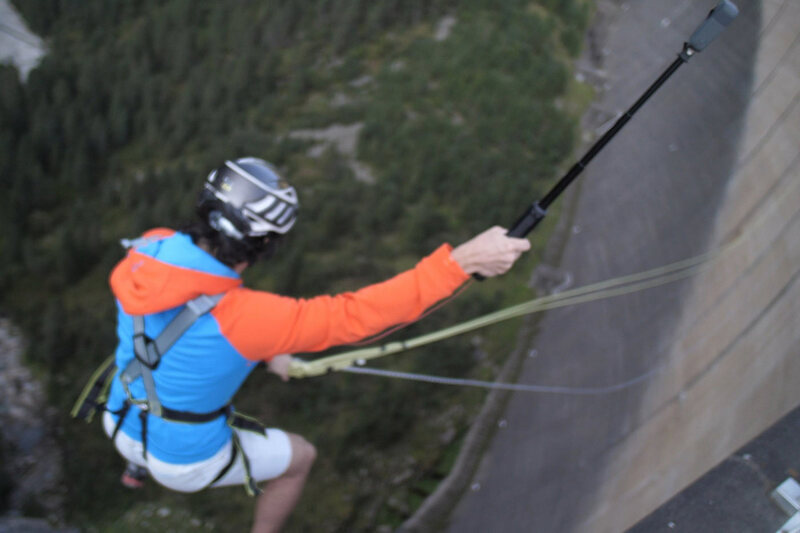 Flying Fox & Giant Swing € 82,00 p.P. 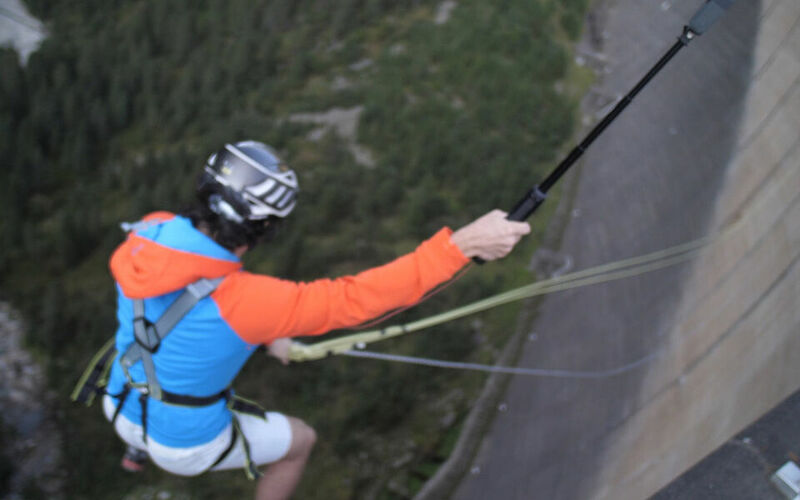 Flying Fox & Giant Swing, 5 or more people	 € 79,00 p.P. 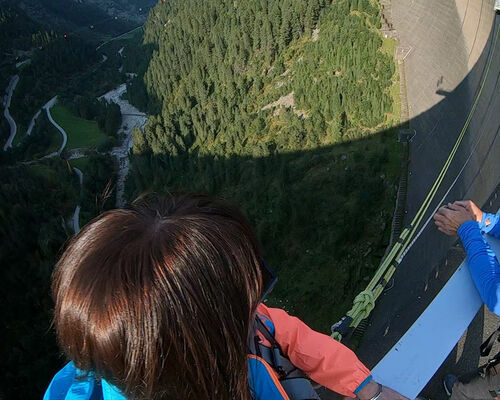 5 people or more € 96,00 p.P. 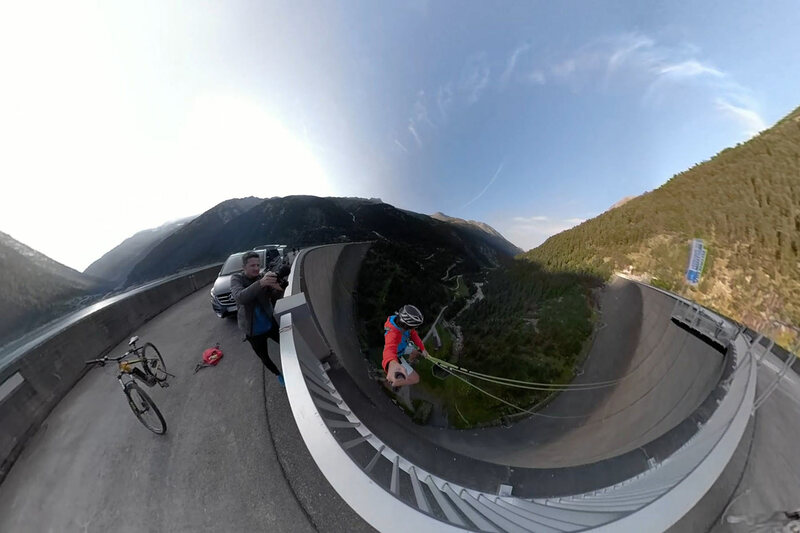 Present your road toll ticket and receive a one-off €2.00 discount.